The “Internet of ________ Things” has created increased awareness and excitement around some of the most overlooked items that we possess such as fridges, thermostats, etc. This movement has even made it exciting to brag about the types of smart light bulbs that you have in your living room. However without proper health, you won’t be able to enjoy the fruits of today’s technology. We believe that the same attention around these “Things” should be applied to your personal health. The term “Things” is such a vague description of something that can be so impactful on one’s life. 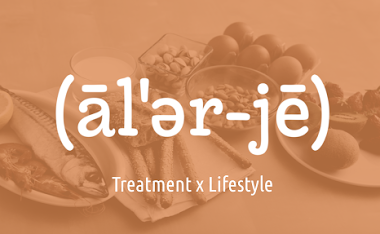 Wellness is at the center of why Alerje focuses on improving the overall quality of life of those affected by some of the leading chronic diseases and conditions. We believe that proactive patient design is essential to improving patient adherence as well as behavior. Our design approach is rooted in the conversations we’ve had with various stakeholders, from patients and parents, to industry thought-leading organizations. This perspective combined with the ubiquity of the Internet has guided our approach toward developing our platform via the Internet of Medical Treatment. The Internet of Medical Treatment sits at the intersection of traditional MedTech and Consumer products, using proactive patient design to reduce the cost of healthcare and improve patient outcomes. Javier Evelyn is the Founder and CEO of Alerje, a Detroit based startup building a platform to improve the overall quality of life of those affected by food allergies. He also personally suffers from multiple food allergies.